GoRevolution aims to provide more than just the opportunity to workout so why not chose them as your new hobby this January. 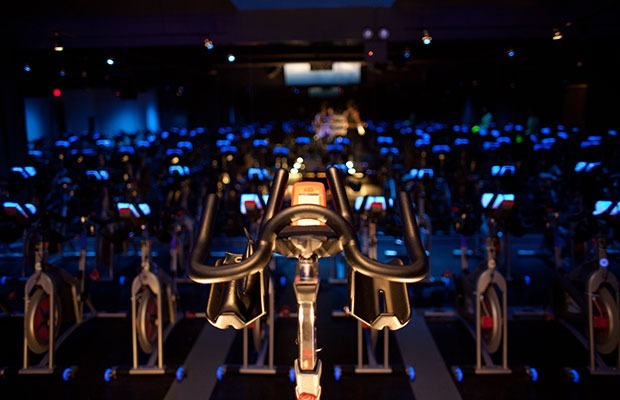 Their uniquely designed classes see riders pedal together to upbeat music and futuristic lighting, led by motivational instructors who foster teamwork and positive energy. The concept is to encourage anyone of any fitness ability to feel part of the pack in a fun atmosphere. from warm-up to personal peak fitness point to wind-down and chill out. The price isn’t bad either. Currently they have an introductory offer of £14.00 for two classes (usual price £14.00 per class) or if you’re being really brave and want to make this a long term hobby, hey why not, it’s good to look after your health. They have 50 classes for £450.00 making it just £9.00 per class! Those more interested in improving their cycling performance can also use the state of the art colour coded biofeedback bikes to do their own training sessions during the Go Solo sessions. Do you use the bike to exercise? Or are you still unsure of how to loose a few pounds? Read my thoughts on a personal trainer here.